Ticonderoga and milligan like this. Was bored today when I got back home. Decided to turn my stock 710 bezel into a porthole. Chascomm, taimurkhan, isti and 1 others like this. I wondered how you would fit it in. So a 2416B works with the date-wheel removed and that's all. I would like to fit this, Mario. Hope not too cold there right now. 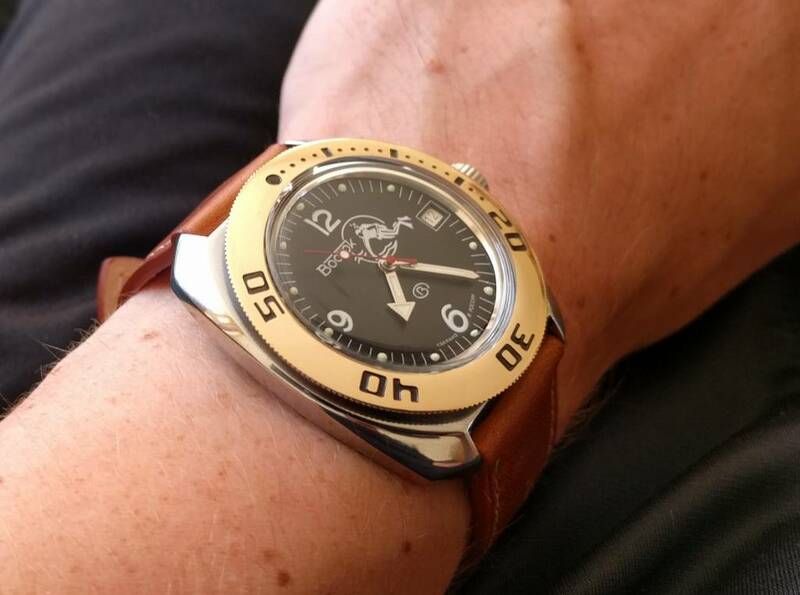 This dial is 0.5mm thickness and Molnija 3608 movement. 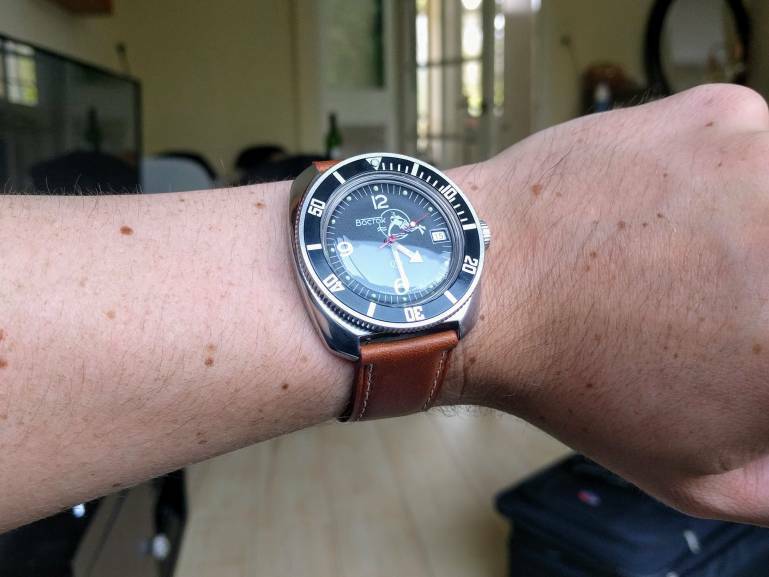 I think for Vostok - maximum is 0.8mm dial with tall CP and HW. For dial 1mm thickness Hands is not fit correctly. mariomart, DocTone and antilucem like this. tamtkpp, igorIV, munichjoe and 4 others like this. Is that bezel missing the lume pip? Yes for now. It will be matched to the lume on the dial. Beautiful brush job! I just bought my first Amphibians, a 710 and 670 for me, and a 120 for my wife. I want to brush the 710. Hope it turns out as well as yours. Kuddos! Yes, switched some cases of my existent mods, then I decided that a "Summer Diver" is strongly required. munichjoe, mroatman, Tarquin and 6 others like this. My new bezel insert arrived today. 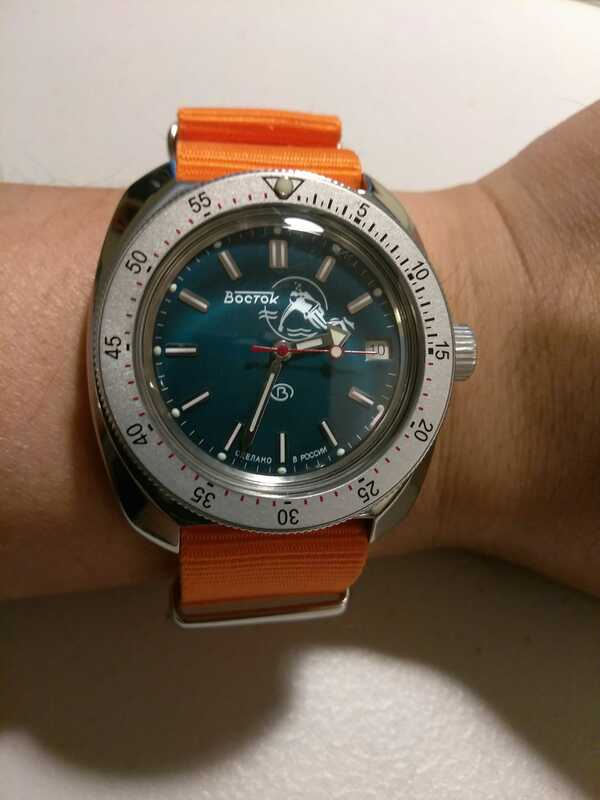 Quite a different vibe from the Seiko pepsi insert that it replaced. A more classic look I think. Now I'm just waiting for the ss crowns I ordered from Meranom. Fabrizio_Morini, Racerke and JonS1967 like this. Last edited by samshy; June 21st, 2017 at 21:38. Ticonderoga, elsoldemayo, rothko and 2 others like this.